President Bush has made it clear that we are engaged in a war against terrorism. But for Usama bin Laden and his followers this is religious war, a war for Islam against infidels, especially the United States, the greatest power in the world of the infidels. 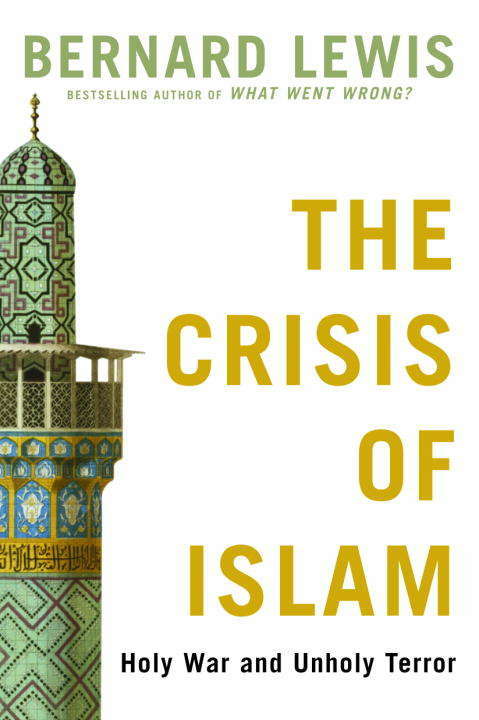 In this book Bernard Lewis shows us where the anger and frustration have come from, and the extent to which almost the entire Muslim world is affected by poverty and tyranny. He looks at the influence of extreme Wahhabist doctrines in the Saudi kingdom, where custodianship of Islam's holy places and the revenues of oil have given world-wide impact to what would otherwise have been an extremist fringe in a marginal country. He looks at American double standards, which have long caused Muslim anger. He tells us what the real meaning is of Islamic fundamentalism', jihad' and fatwa', and why the peoples of the Middle East are conscious of history in a way that most Americans find difficult to understand.